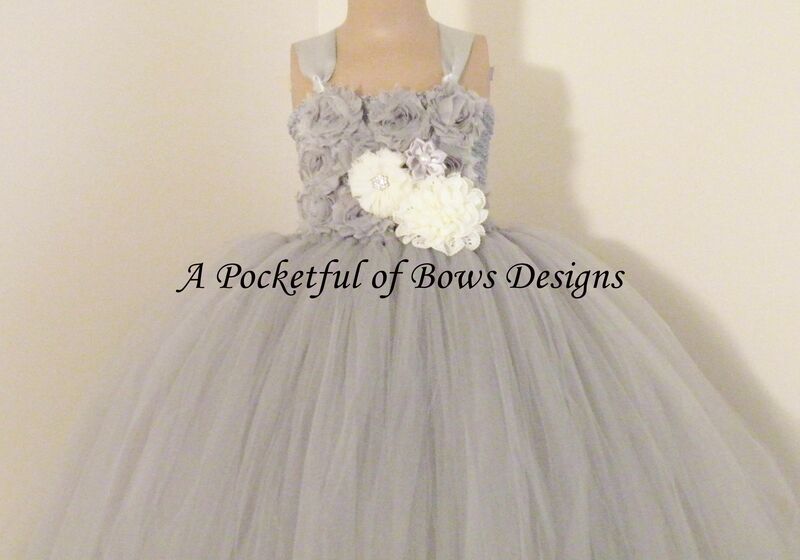 Silver gray flower girl dress ball gown with flower bodice. 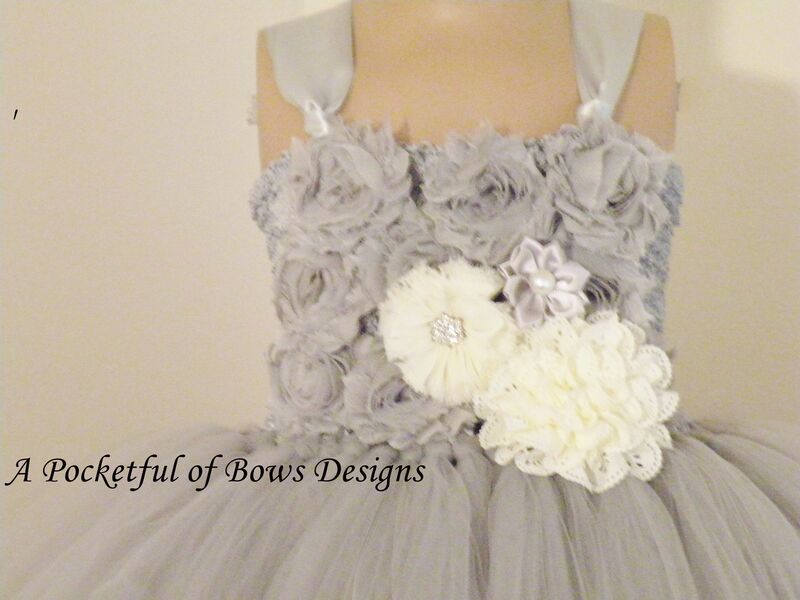 The lined top has gray and ivory flowers with gems. The satin shoulder straps tie in bows on the back. 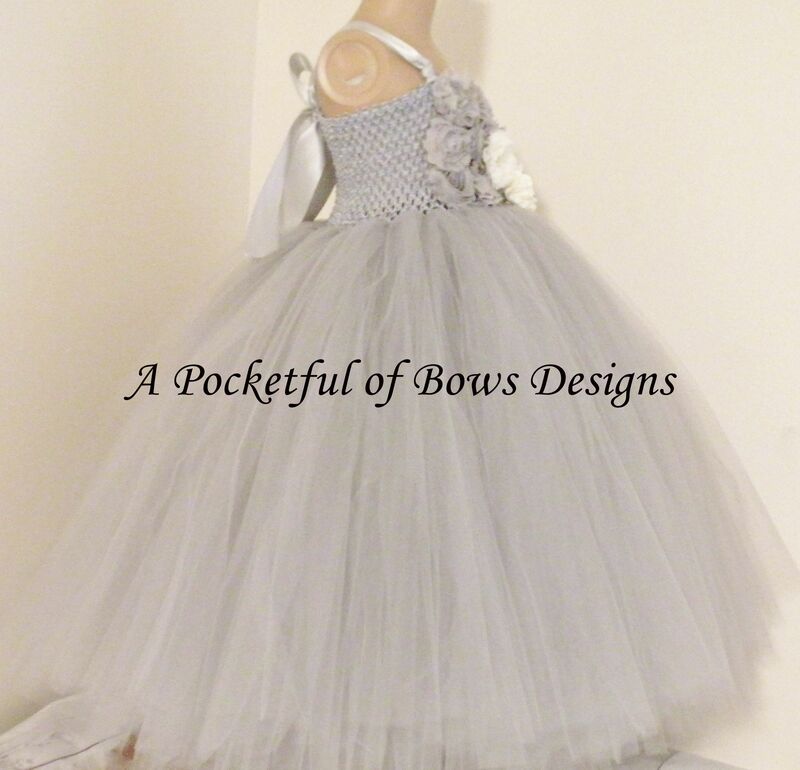 The tulle skirt is super full and made with high quality bridal tulle. 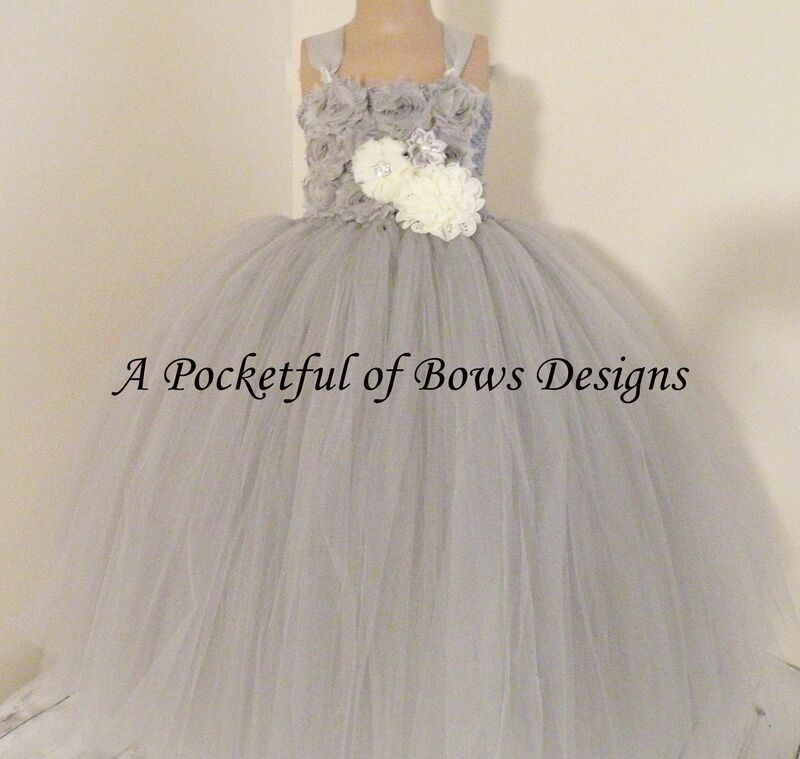 Perfect for your wedding or special event. Available in other colors. Please message me your ideas and I can create a custom design for you. ***Overall Length: measure from the armpit down to the ankle or length needed. Need you dress sooner please message me your request. Add a Slip: This features adds a slip lining to the skirt of the dress.